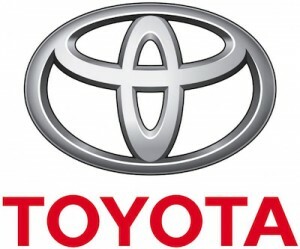 Toyota has announced a 3-year extension to its sponsorship agreement with the Australian Football League which will see the car maker rack up a total of 16 consecutive years as the AFL’s premier partner. The sponsorship extension, which ranks among the biggest sponsorship deals in Australian sport, was jointly announced by Toyota president Dave Buttner and AFL chief executive Gillon McLachlan at the official launch of the 2016 Toyota AFL Finals Series. Mr Buttner said the new arrangement, from 2017-19, would allow for continued development of the game from local clubs to the elite national competition. “Toyota and its dealers throughout Australia are proud to be part of the AFL family and to extend our commitment to growing this great game and supporting footy wherever it is played,” Mr Buttner said. AFL Chief Executive Gillon McLachlan said AFL‘s decision to extend its sponsorship agreement with Toyota was an “easy one for the league”. “Toyota is a highly successful values-driven organisation that is determined to be the best and has been a fantastic partner for the AFL in our efforts to grow our game,” Mr McLachlan added. Mr Buttner said the Good for Footy program formed a vital part of Toyota’s ongoing sponsorship, focusing on the community clubs that are the breeding ground of future champions. According to him, the program has raised more than $3 million for grassroots football. “This year, the Toyota Good for Footy raffle raised a record $574,305 to support local clubs with better facilities and equipment – and we are planning to break the record next year,” he added. Apart from being AFL’s premier partner, Toyota also supports Friday’s E. J. Whitten Legends Game and the Toyota Legendary Moments series that features memorable moments involving some of the game’s greatest players. In addition to these sponsorship deals, the company recently announced that it has extended its long-standing sponsorship of the Adelaide Crows until at least the end of the 2019 AFL season, making it one of the most enduring sponsorships in Australian sport. Toyota, which enlists prominent current and past players as ambassadors, including Hawthorn champion Luke Hodge and 2014 Australian of the Year Adam Goodes, also supports Cricket Australia and the Australian Olympic and Paralympic teams.